Anxiety disorder comes with a stigma that prevents people from seeking out and getting the necessary treatment. Anxiety disorders are some of the most common disorders in the country. It’s estimated that 40 million adults in the US above the age of 18 have an anxiety disorder at any time. It could be generalized, or it could be focused on specific events. Either way, it’s known that not enough adult patients get the treatment they need. In fact, it’s estimated that only 1 in 10 patients get the anxiety treatment they need. Why is that the case? We look at the reasons why. The most obvious reason why people with anxiety disorders don’t get the adult therapy treatment they need and deserve is a lack of understanding on both sides of the equation. Clarity Clinic does what they can to help people with anxiety understand it, so they can see why adult therapy treatment is a viable option for them. Patients often put anxiety down on their general personalities or a specific situation they see as natural. They never assume that they could have some sort of treatable disorder. And others are also likely to tell patients that there’s nothing wrong with them. That may even go one step further and some doctors may say the same thing. These factors can make anxiety disorders difficult to treat. Anxiety disorder is like no other type of mental illness. There’s no set checklist to dictate where someone may get anxiety disorder from. It always comes from a complex combination of genetics, personalities, and life events. Every adult patient’s situation is slightly different. That can make it nearly impossible to pin down. There’s a natural fear of medication, especially when it comes to mental disorders. People fear receiving adverse effects and making the problem worse. Not every type of medication is going to work for everyone. Targeting the physical symptoms of severe anxiety via beta blockers won’t always work for everyone. This general fear of medication causes many adults to have this irrational fear of perfectly usable treatments. Is There a Recognized Need for Treatment? This goes back to a lack of understanding, but it’s also something that’s defined by healthcare systems itself. 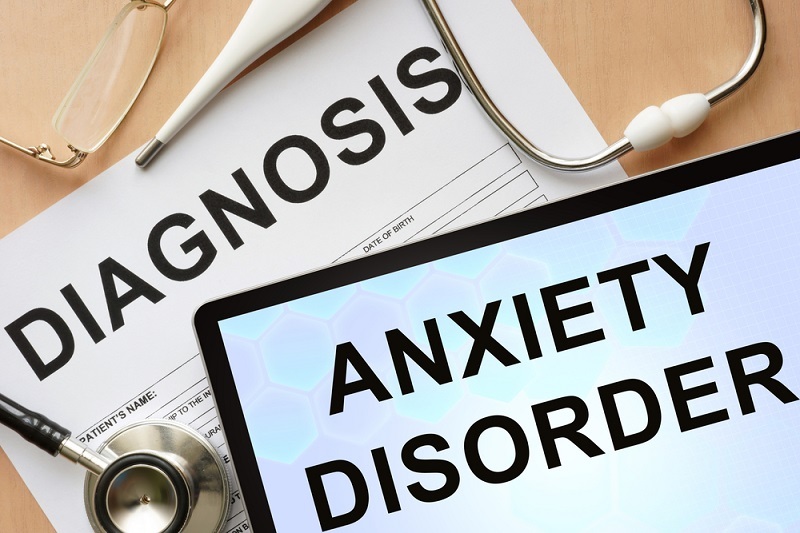 With just 43.5% of adults reporting mild impairment from their anxiety disorder, it has led to many aspects of the healthcare system shunning anxiety disorder sufferers. And this is in the US, where care rates are much higher than in other regions of the world. Many levels of the healthcare system just don’t have provisions in place for anxiety disorder treatment. Mental illness has always come with a stigma. This translates to both onlookers and people suffering from the disorder. It stops people from seeking out treatment. Older people are more likely to have this stigma. Things are changing slowly, but it’s not fast enough and it means millions are suffering in silence. More must be done to raise awareness of anxiety disorder and to make it clear that it’s okay to seek out help. Last Word – What’s the Answer? The answer is in improving understanding both in healthcare circles and among sufferers of anxiety disorders. There must be a campaign to prove the need for treatment. Anxiety disorder, like so many other mental illnesses, comes with a stigma that prevents people from seeking out and getting the necessary treatment. Luckily, things are changing slowly, but more must be done to reduce this stigma and to provide people with the resources they need to get help. Do you know someone who suffers from an anxiety disorder?